Education Alternatives focuses equally on the academic and therapeutic needs of the students. This approach integrates academic achievement with the social and emotional needs of the students at all times. Through the continuous emphasis on academics and emotional development, students are able to most effectively learn, while coping with their mental health needs. Education Alternatives’ Day Treatment Program looks and feels like a traditional school. The difference is the underlying support system embedded within each of our facilities. Each site is directed by a Building Director who facilitates the 100% – 100% environment. Each classroom is staffed by one licensed intervention specialist and one associate teacher. In addition, a licensed therapist is assigned to each student in a classroom and works with the teacher and associate teacher as a multi-disciplinary team member to identify strategies to meet the individual student’s mental health needs. 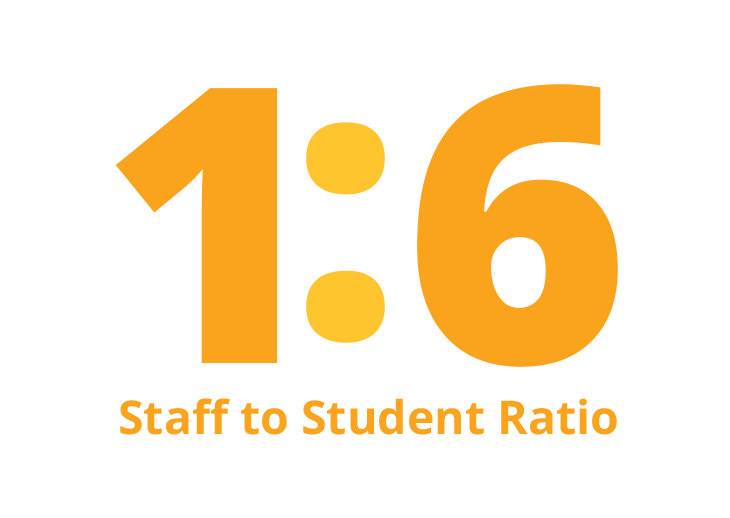 The low staff to student ratio within the classroom encourages individualized instruction according to each student’s Individual Education Program (IEP). The core subject areas of our academic program follow the Ohio Department of Education’s Academic Curriculum Standards including standardized testing requirements for all grades. In addition to following the Ohio guidelines, our high school students receive services to ensure their coursework meets the graduation requirements of their placing school district. The ultimate goal of the Day Treatment Program is the student’s successful transition back to the public school district, post-secondary opportunity, or vocational/employment program. Help students to identify their needs, set and achieve realistic goals, and actively manage their disability. Develop communication and hands-on skills that may be required for future employment, such as interviewing skills and the understanding of the expectations of future employers. Help students function independently by teaching self-care, life skills, identification of community resources, and appropriate social interactions. Referrals made to the Day Treatment Program must come through the Special Education Department of the child’s public school district. For more information on enrolling a child, please contact the central office. Education Alternatives is a vibrant, expanding nonprofit organization dedicated to transforming the lives of youth through relationship-based therapy, education and occupational programming that integrates current research and best practices for helping at-risk youth. We believe each child that attends one of Education Alternatives' programs deserves the opportunity to have a quality education, obtain a steady job, and succeed as an adult.